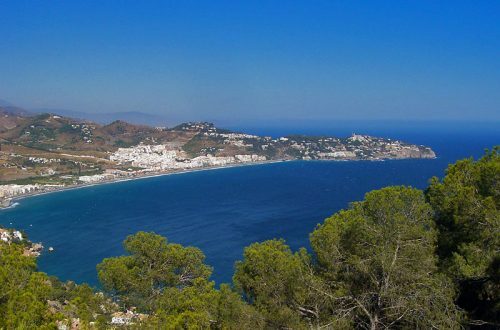 Nestled in the mountains 430 metres above sea level the typical Andalucian white-washed village of Mijas is a popular day trip for people staying on the Costa del Sol. 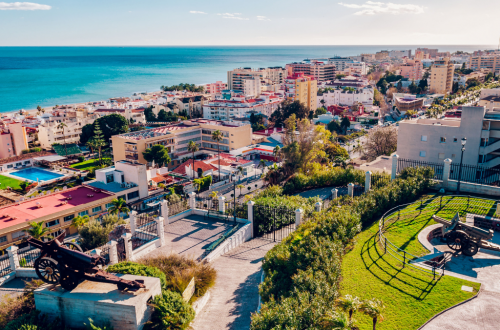 Located just west of the province’s capital Malaga in the heart of the sunny Costa del Sol, Mijas is split into two distinct parts the old village Mijas Pueblo and a 12 kilometre stretch of coastline known as Mijas Costa. In Mijas Costa, you will find hotels mixed amongst the many residential buildings in places like Calahonda yet in La Cala an old world charm still prevails thanks in part to its twice a week street market. Are there any activities that children would enjoy in Mijas? That is a good question as there does not seem to be much information available in travel guides about Mijas. Are there any cheap hotels in Mijas or would it be better to stay in Fuengirola and drive to Mijas? We have put together some useful information that will provide everything you need to know about Mijas including a map of this unspoiled holiday town. With its iconic white-washed house, cobbled streets and quaint squares Mijas Pueblo is a magnet for tourists looking to experience the real Spain away from the beach. If you plan on visiting the village, try and do it on a Saturday as the Foreigner’s Department of the local council offers free guided tours of the village and its surroundings. The tours depart the town hall at 10 a.m. and last between two and four hours. You can book a place by putting your name down at the town hall a few days in advance or by calling Tel-952 48 59 00 Ext. 244, 242, 220. 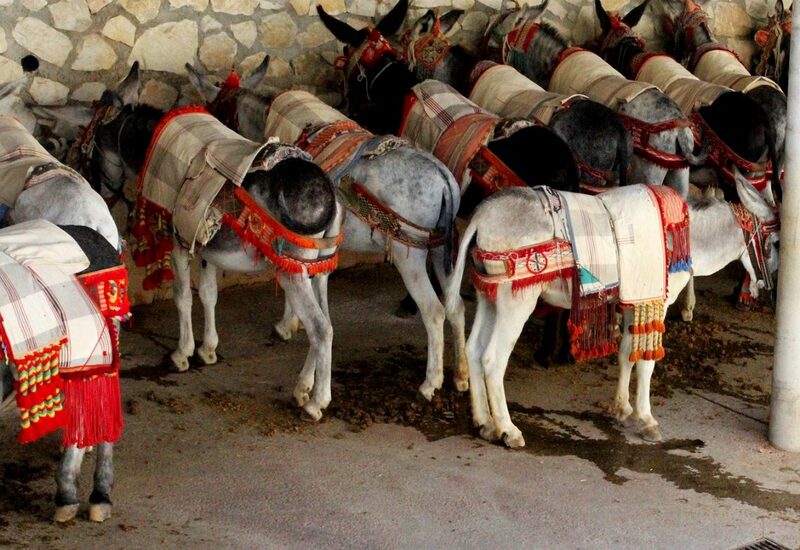 In spite of a large number of tourists during the summer months, Mijas has done a great job in preventing the town from becoming over commercialised and still offers a donkey pulled taxi as a unique way to explore the village. Most visitors to Mijas arriving from the resorts on the coast, park in the multi-storey car park near to the main square or arrive by bus from Torremolinos or Benalmádena. 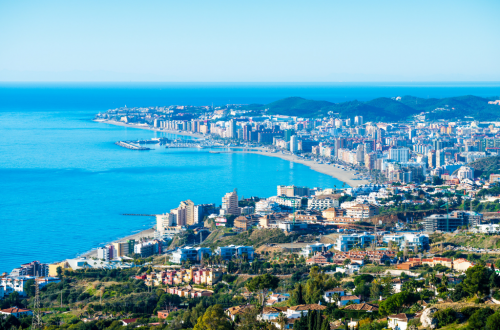 In contrast to the charm of Mijas Pueblo, Mijas Costa is a 12 kilometre stretch of sun-kissed beaches where holidaymakers flock to soak up the sun and enjoy all the tourist facilities that are on offer. Geared largely to the UK market Mijas Costa is a little slice of Britain in southern Spain complete with daily tabloids for sale, British pubs for a pint and Indian restaurants for that must have spicy curry. Surrounded by upscale residential developments Mijas Costa offers every class of hotel and has golf, water parks and enough going on to keep the entire family happy. A popular off-season day out is a trip to the races with meetings every Sunday between October and May at the Costa del Sol Hipodromo. The races attract large crowds composed of both locals and tourists. If you think the natural beauty of Mijas Pueblo is more to your taste book a room or suite in the luxurious Mijas Hotel where you can sip cocktails on the terrace while admiring the view. Thanks to the hotels use of traditional materials and keeping to a certain style that encompasses fountains and native plants the hotel is a gem of Andalucian charm. The hotel offers a magnificent swimming pool to unwind and relax while the in-house restaurant serves Spanish and international gastronomy to suit all tastes. If the beach is more your thing, check out the Hotel Ona Campanario in Calahonda. This mini resort has two and three bedroom apartments with every conceivable extra to make your Costa del Sol holiday a roaring success. While staying at the Hotel Ona Campanario you also have the use of a gym and four swimming pools. The hotel is located in the heart of the action close to shopping, bars restaurants and of course the beach.